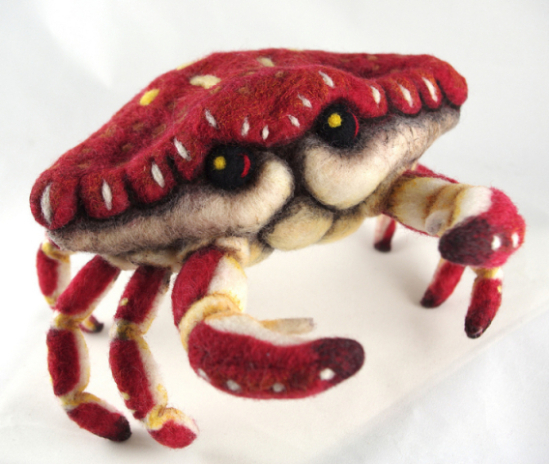 Craby by Mahuna: A popular crustacean felt sculpture. Crab art by Mahuna. 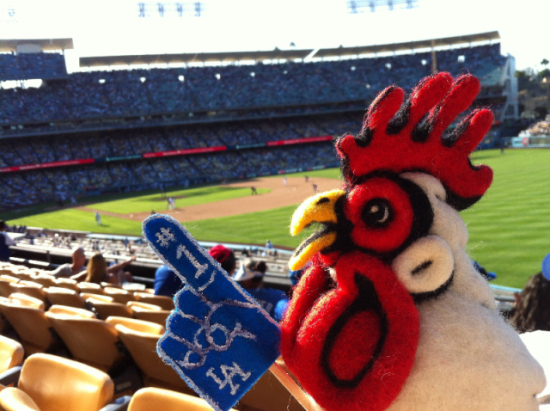 But of her unique characters, the Felted Chicken is her mascot, or maybe a fellow fan. 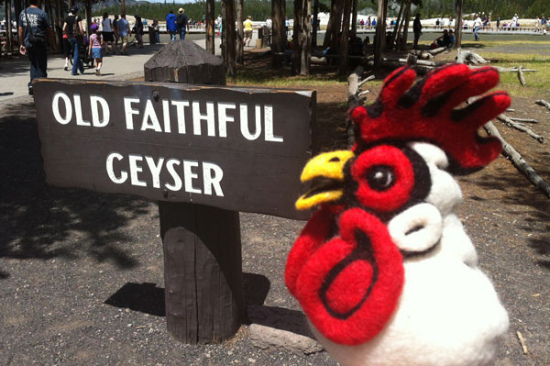 He's very well traveled, for a chicken! 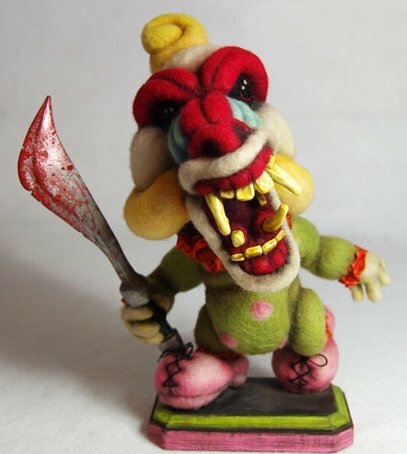 There are several more amazing animal sculptures like these at thefeltedchicken.com. I liked her sea animal art like this koi and deep sea angler fish. 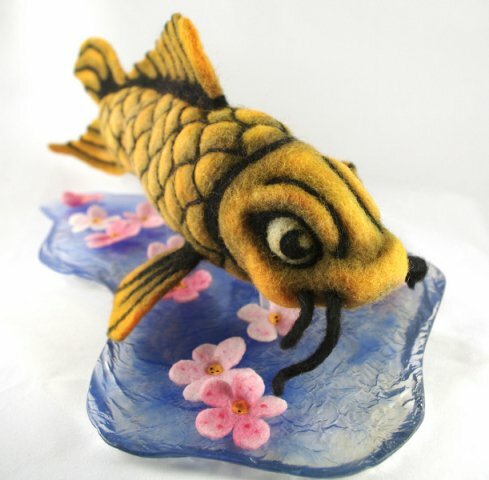 Koi by Mahuna: Some excellent fish art by Mahuna. 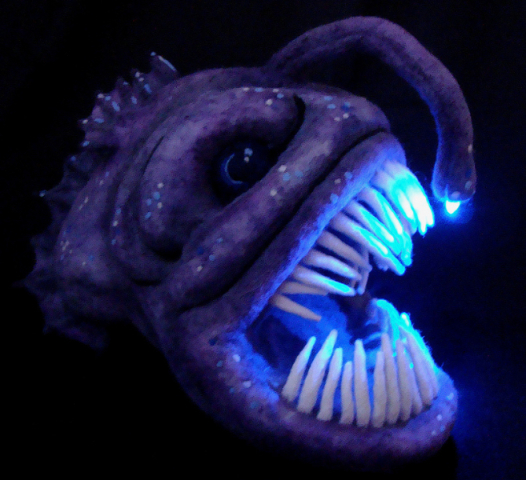 Angler Fish by Mahuna: Some deep sea animal art of Mahuna. If you like the pictures you've seen here, there are pictures from multiple angles and some close ups to show the felt texture. 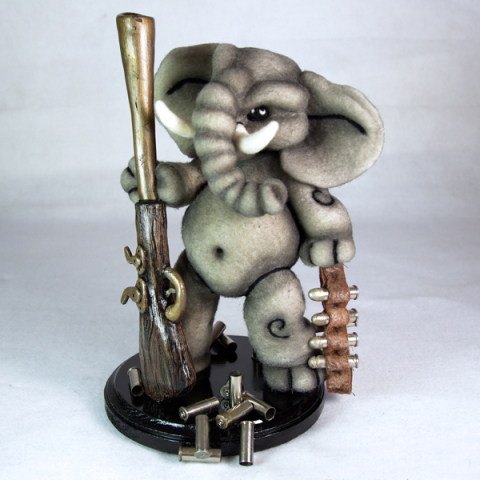 If you're like Chrissy Mahuna and like plushies, you might like some of Olivia's plush animal art at Hip Hop Candy. 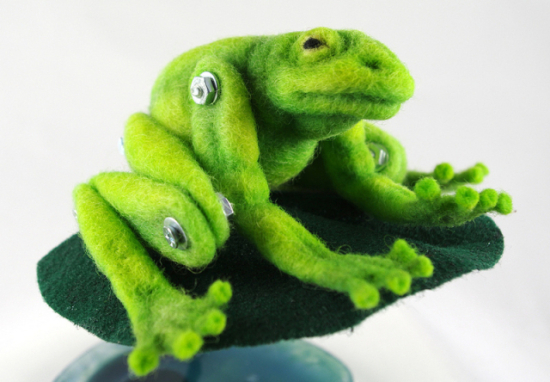 Be sure to check out Mahuna's felted animal sculpture site, and stay tuned for more animal art! Images used with artist's permission. Chicken or the Egg -- The Great Animated Animal Video of the Day!! !